it seems bad grace, ignorance, lack of regard and plain bad manners are the contemporary social currency. But Hey-Ho... it's in another direction we go. 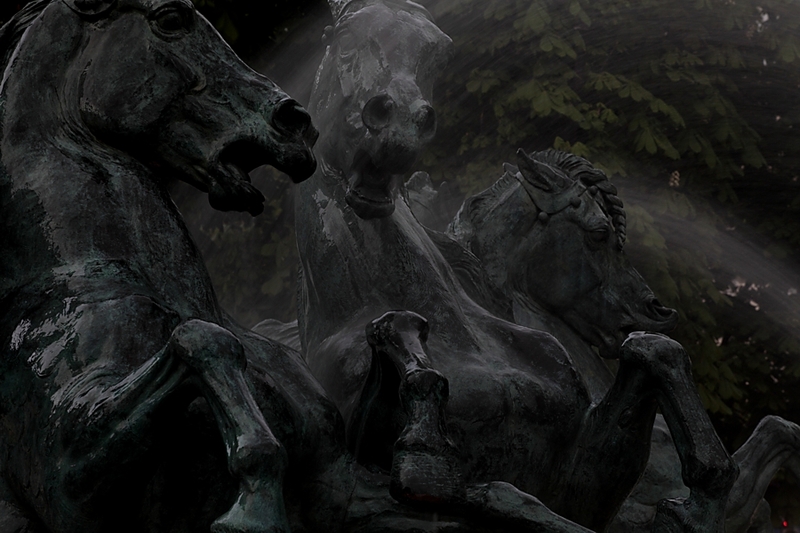 One of the least expected but pleasant re-awakenings of the recent trip was to re-discover sculpture again. From walking out of Port Royal and heading to our accommodation and recognising Francois Rude's "Marechal Ney" exhorting his troops, to the delightfully acid caricatures of Honore Daumier (illustrating a couple of posts back) in the Musee d'Orsay as well as the manic vibrancy of Carpeaux's "The Dance" which graces the facade of the Opera Garnier. 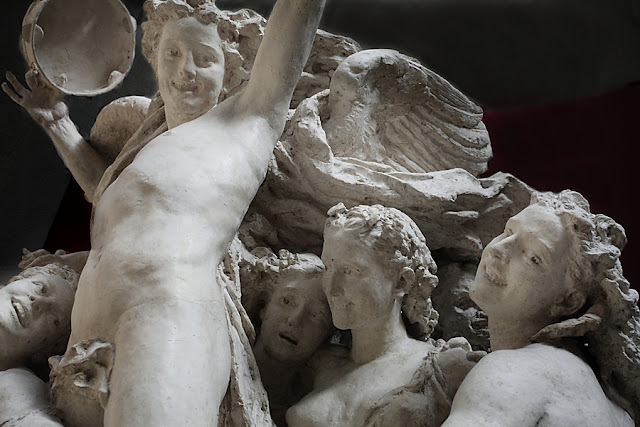 Getting up close to this piece in its plaster form at the d'Orsay was quite revelatory of Carpeaux's brilliance of his deft handling and compositional ability. It showed too, his primary influence on Rodin who we came across in the Montparnasse Cemetery. 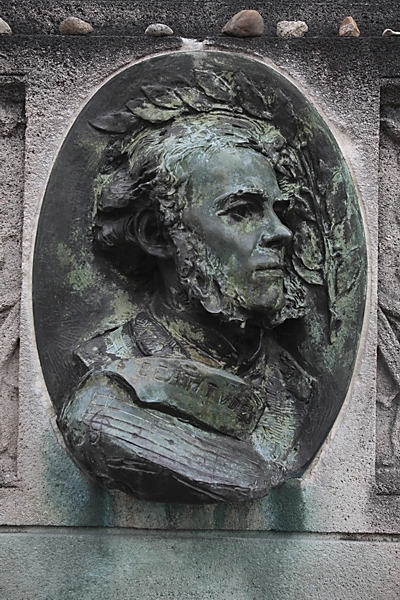 It was a portrait of the composer Cesar Frank and like the cemetery of Pere Lachaise, Montparnasse has a wealth of sculpture to study and "finds" to discover. 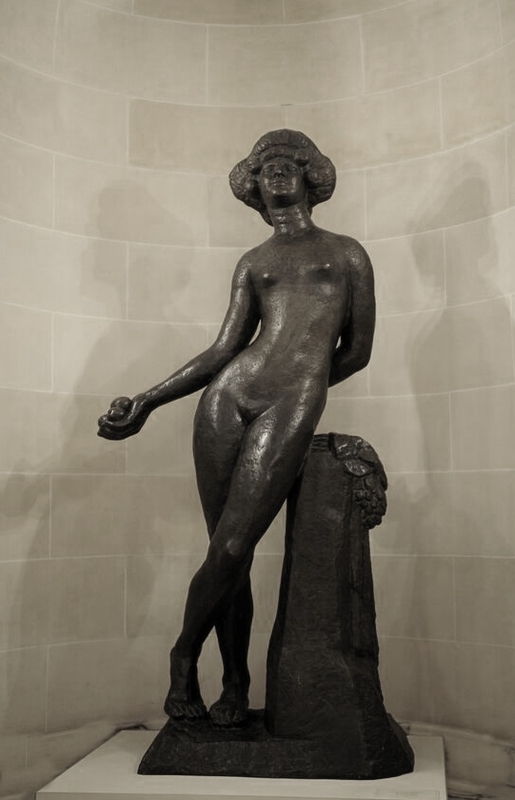 ....and when Visiting the Art Gallery in Rouen I finally understood Bourdelle's "Pomona" in its sinuous sensuousness. 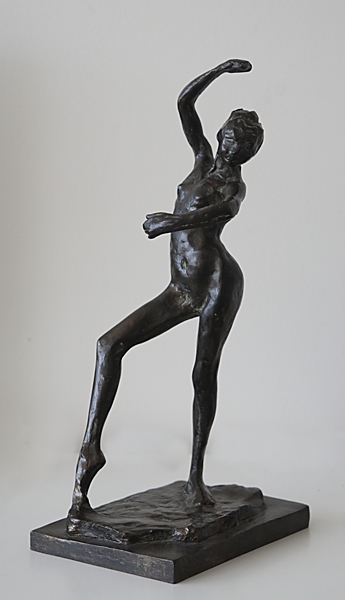 But the real hit was visiting the Marmottan and there purchasing a reproduction of one of Degas' dancers. ...all of which means there will be sculpture being made. And finally some pics of Erin S that were asked for..
or the demise of Egalitarianism and the rise of fascism in Australia. Malcolm Farr got it right on "Insiders"calling the costumes of Oz's new "Border Farce" as like something that came from a provincial amateur Light-Opera wardrobe... and I was interested in the re-run of "Roaming Quisling" chief scout of the new Borders Protection Farce in just how much his speech delivery is so similar to the fascist nationalist buffoons wanting to "fight-party" on July 18 ... same mentality? Prime Miniature, Rabid-the-Hun, sounding increasingly shrill, has switched what mind still functions to permitting his rabble to attend ABC interview programs again. That no-one really cares any more for his asinine attempts to control or destroy everything in his path he just makes it all the more difficuilt to take any of this ruling rabble seriously. And when it comes to interview, particularly on the ABC, one gets the feeling that now, with little to lose, no quarter will be given. Leigh "Hissy-Fit" Sales, one of the worst, most consistently "right" biased interviewers on ABC managed to make another mess of another interview. This time Labor's Brendan O Connor who, unfazed by her constant interruptions and obvious seething that he wouldn't answer in the manner she wanted, blithely said, "Leigh, I don't think you can see the woods for the trees!" Leigh was not a happy troll! Similarly, it seems Justice Heydon wanted Bill Shortstuff to answer questions in a particular way at the latest $80,000,000.00 ShowTrial Circus. Refusing to do so, Shortstuff was deemed an "unreliable witness" in what was not meant to be a pre-emtive verdict before this show trial circus is finished. Latching onto this as solid proof that Shortsuff is in fact "not-quite-nice" Liarbril non-entity Bruce "Blah-Blah" Bilson frothed at the mouth a lot, completely forgetting that his attendance at a number of fund-raisers hosted by alleged Mafia figures is somewhat more important and really needs his clarification.... or at least how many brown paper bags changed hands.